Having lived in many parts of Canada, including Calgary and Nova Scotia, Mark Bay wanted to avoid “the congestion of big cities” when raising a family, so he moved to Fenwick 13 years ago. Since then the town’s character has drastically changed from a quaint community to resemble “Vaughn,” in North York, which is lined with strip malls and cookie-cutter concrete fortresses which have replaced much of the greenery. “I get that we have to have progress, but I think it could’ve been planned a little better,” Bay said. “My blood pressure just goes up when I have to drive through this stretch of town,” he said. Operating a small electrical contracting business, Bay Electrical Construction, Bay is accustomed to project managing and completing projects on time, and on budget, which he says is not always happening in Pelham. 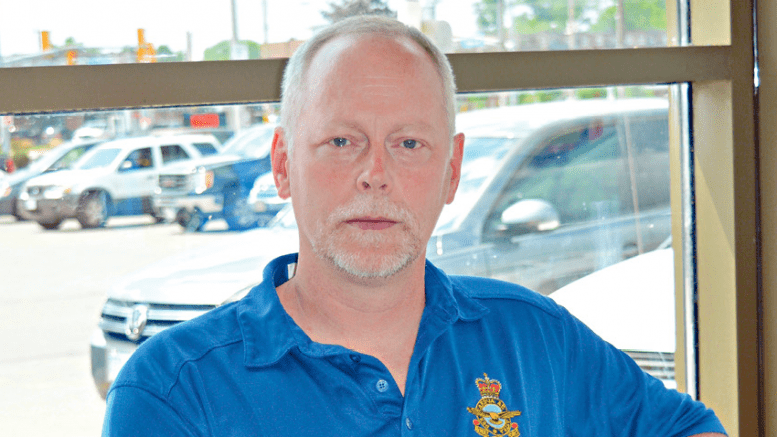 Having completed many small service contracts for the Town, and in talking with other workers about projects, he has noticed many contracts costing the taxpayers more money due to poor initial planning. As far as tendering contracts are concerned, Bay said he put in a bid to do work four years ago, and the bid wasn’t even opened. When he went to check which company got the bid, there wasn’t anything publicly posted. Bay has completed several maintenance contracts with the Town, and has been privy to some second-hand information, which he said influenced his decision to run for council. “There has been some serious micro-management in the past,” he said of the planning department, though he acknowledged that the situation have improved somewhat due to personnel changes. The turnover of staff has drawn attention to problems within Town Hall. Bay realizes there are confidentiality issues, but information regarding tenders and the way the town conducts its business should not be private, since taxpayers are paying for the services, and the way the Town conducts its business. If a Town employee leaves,“Why should every individual have to worry about being sued?” he said, regarding former employees speaking out. If council values transparency, council should consider adding a clause to their non-disclosure agreements, suggests Bay. From Bay’s personal experience in working with Town planners, which concerned getting permission to replace the barn on his property, he says he got the runaround. This positively affected his goals for office, which is to be a better planner, and to streamline services. Bay believes that this tendency, despite some good intentions has led the Town into a cover-up mode, which in turn has led to more mistakes being made. The Haist Street arena is one such example. Bay said he heard when the arena was first built in the mid-’70s, it was made to have additions placed on it, and to endure changes in the future. He understands that the cost to bring it up to current building codes may have been great, but nowhere near the cost to build the new Meridian Community Centre. “I hope my children enjoy the centre now, because they’ll still be paying for it when they’re older,” he said. According to Bay, the $37 million project went far beyond what was originally budgeted. In order to build the centre, Bay says, the Town has been borrowing against future business projects, and are so far down “the rabbit hole,” the municipality has dipped into its reserves. He believes the Town was counting on securing provincial or federal grants for the new centre, which did not pan. Since Bay has lived in Fenwick for the last 13 years, he says that taxes have doubled, and he wondered aloud at how much he will be paying in future. “It’s going to be difficult for seniors on a fixed income to pay for this centre,” he said. According to Bay, the town is in a “debt service” financial state, and as a result, he would like to see an independent, forensic audit completed on the Town’s finances dating back to 2009-2010. 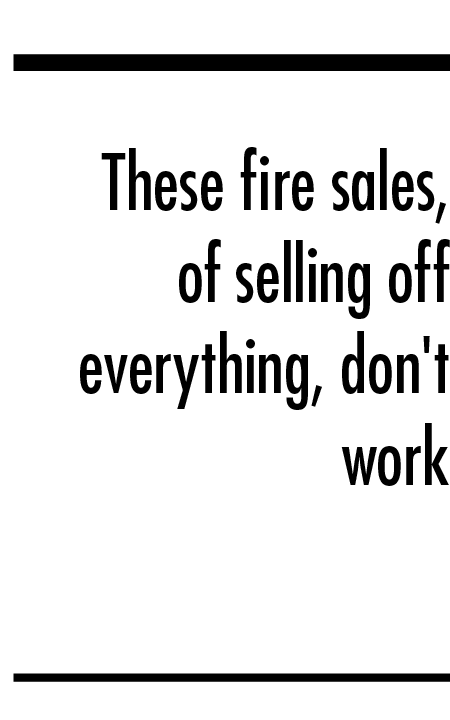 “These fire-sales, of selling off everything, don’t work,” he asserted. For example, he mentions that one of the properties beside The Broken Gavel and Fenwick Library may have to be bought back by the Town to create more parking. These are costly mistakes, as a result of poor planning. “They won’t admit to it, because they want to save face.” He believes councillors should admit when mistakes are made, or, when new information comes to light, to discontinue a given course of action. In the last election, Bay ran for mayor and came third. He’s not seeking the same position now. The next mayor is going to be a “lightning rod” because of the financial position the Town is in. Bay acknowledges knowing former Ward 1 Councillor Marvin Junkin, who’s running for mayor, and feels that his honesty and integrity make him a reputable candidate. When asked what’s the best advice he’s received to guide him on council, he replied that trusting his gut instinct has helped him in life.